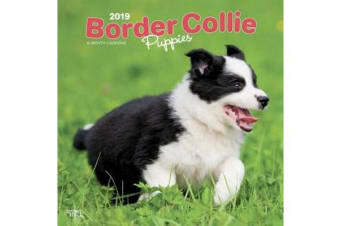 Intelligent, alert, and adorable, Border Collie puppies grow up to be supreme sheepherders. Even at an early age, their natural herding instinct is noticeable. These pups are playful, loving, and energetic. They may not be ready to drive flocks, but the lively Border Collie puppies in this darling square wall calendar will certainly make you smile.